The American College of Acupuncture & Oriental Medicine has long been associated with some of the greatest contributors and organizations in the world of traditional Chinese medicine. ACAOM has six international sister schools in China and Taiwan as well as partnerships in Europe. 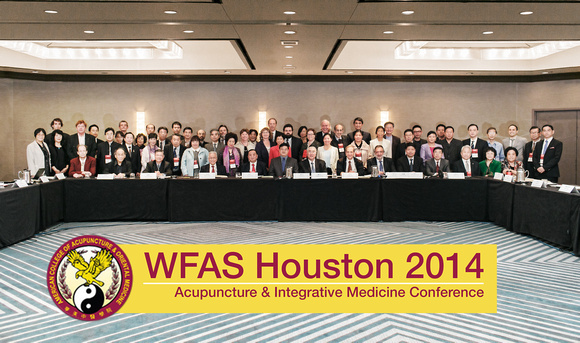 ACAOM also hosted the 2014 World Federation of Acupuncture-Moxibustion Societies (WFAS) Conference in Houston, Texas. Among the prestigious participants was Dr. Andrew Weil. There were over 900 attendees from 36 different countries and over 200 abstracts were presented. ACAOM is committed to not only providing its students with the top academic opportunities within the fields of acupuncture and Oriental medicine, the institution is also committed to creating opportunities for its students and alumni to interact with and have access to the top professionals within the industry. For a glimpse into the excitement of the 2014 WFAS Conference, please check out this video highlight!